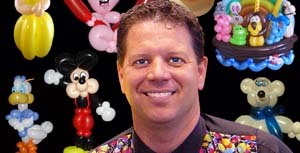 Multiple balloon entertainer that not only entertains the kids, but the adults too! 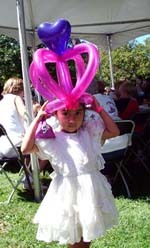 Relaxing parent's watch children laugh and be entertained while on looking adults find the balloon art fascinating. Intrigued family members watch to a point that they too must participate. 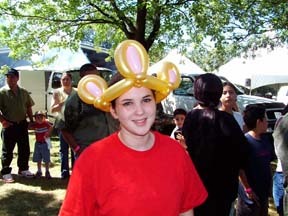 They stand among the kids laughing, watching, and waiting for their turn to get a custom balloon animal. Dale's years of experience will create a panic that allows all to interact and the entertainment to happens flawlessly. To guarantee this, Dale and company will work with you and the committee to make the entertainment go as intended. Professional in manner, appearance, and knows how to make you look good. Dale has been entertaining since 1988, and has worked with human resource departments on entertainment needs for their corporate functions, private events, and fundraiser's.